There was a nice spread for the continental breakfast. We enjoyed the location because it was close enough to everything without being directly in the mix. Very quiet street, clean facilities, room could have used a refrigerator. 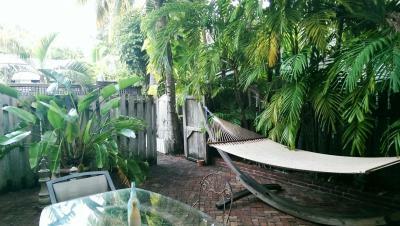 Great patio with a hammock and table w/ chairs and large fridge to share with some other guests. Friendly neighbors. The breakfast was to die for! Those fruit tarts were unbelievable! Loved the location! The breakfast was great and cookies at night were amazing! Breakfast was very good, I would prefer for it to start earlier and end later . 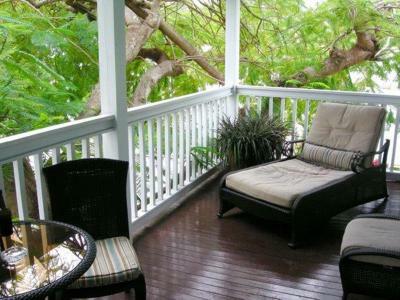 The location was very good, located in a nice quiet neighborhood and close to everything. They rent bikes on premises which we found to be the perfect way to get around. Had an awesome view of the street. The patios had very comfortable patio furniture to relax in! There was small delicious finger foods for breakfast The location was in a good walking distance to everything! 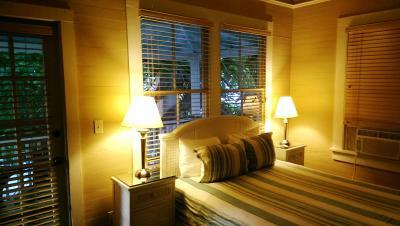 The staff were friendly and the rooms were very clean. The sofa bed was a little uncomfortable but overall a great stay. I also love that they were pet friendly!! I like the looks and feel for the area we were visiting. The location is perfect. 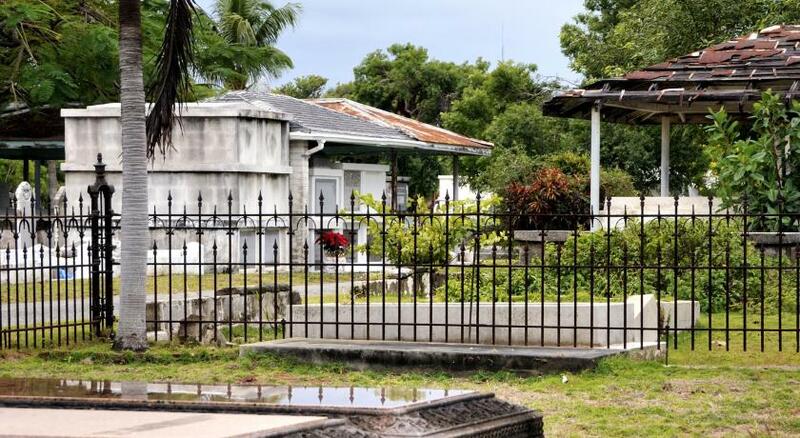 It's fairly close to Duval Street and Mallory Square. Very homey place. Comfortable bed and clean room. Beautiful balcony. Frances Street Bottle Inn This rating is a reflection of how the property compares to the industry standard when it comes to price, facilities and services available. It's based on a self-evaluation by the property. Use this rating to help choose your stay! 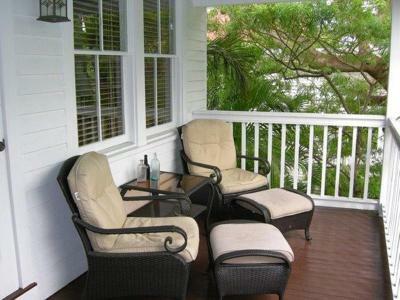 Enjoy the terrace and on-site continental breakfast at the adult-only Frances Street Bottle Inn. Located on a quiet street 11 minutes' walk from Duval Street, this Key West inn provides free WiFi access. 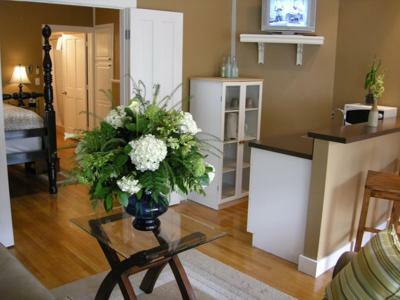 Each room at Francis Street provides guests with air conditioning, heating, and a flat-screen cable TV. 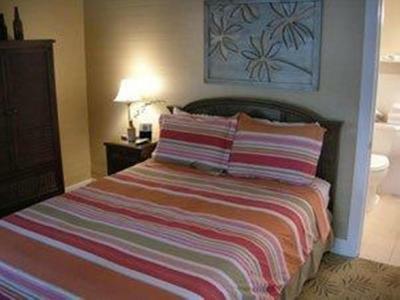 Rooms include a sofa, and private bathrooms come with a hairdryer as well as a bath or shower. Extras include bed linens and a fan. Guests can enjoy a garden as well as a snack bar. Other facilities offered at the property include luggage storage. Daily maid service is available and free parking is provided at a nearby location. 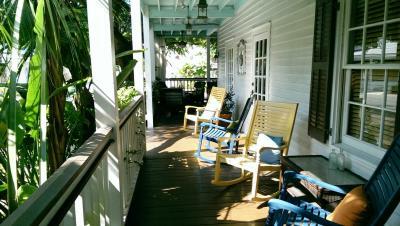 The bed and breakfast is 0.9 mi from the Hemingway House and 1 mi from Mallory Dock. 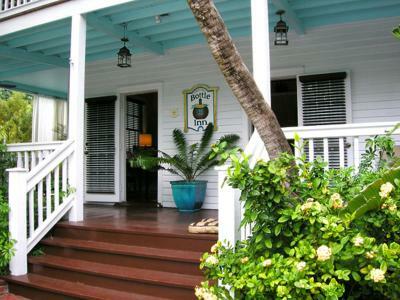 뀐 Located in the top-rated area in Key West, this property has an excellent location score of 8.6! 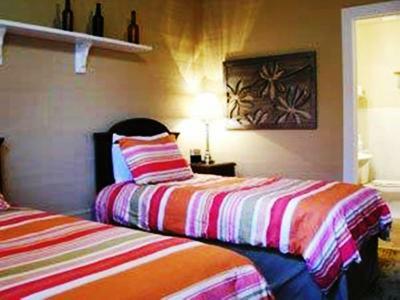 When would you like to stay at Frances Street Bottle Inn? 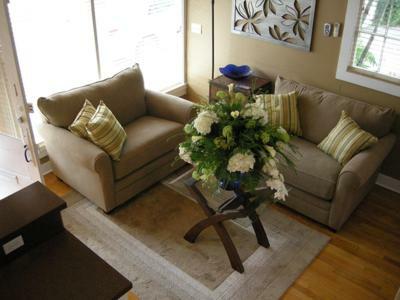 This apartment has a sofa, air conditioning, and a seating area. 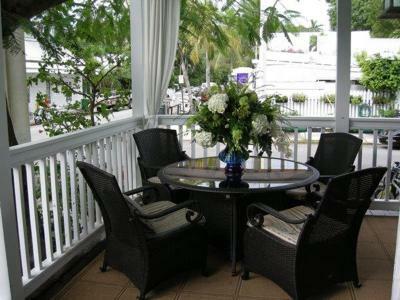 This double room features a balcony, air conditioning, and private entrance. 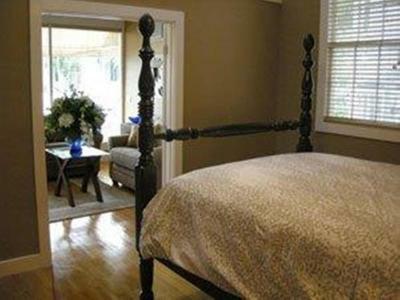 This double room has a private entrance, flat-screen TV, and air conditioning. 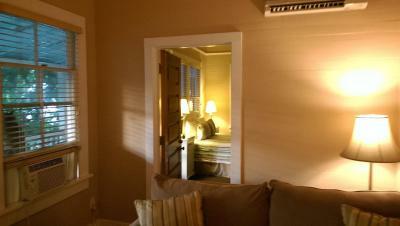 This room features cable TV, soundproofing, and air conditioning. 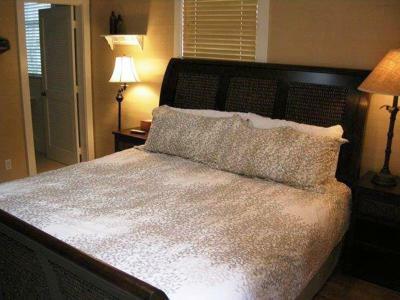 A king bed or 2 twin beds are included. This apartment has a soundproofing, seating area, and private entrance. 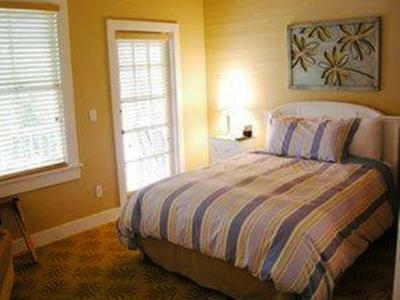 This double room features a flat-screen TV, soundproofing, and air conditioning. House Rules Frances Street Bottle Inn takes special requests – add in the next step! Frances Street Bottle Inn accepts these cards and reserves the right to temporarily hold an amount prior to arrival. The breakfast was quite limited, but good. 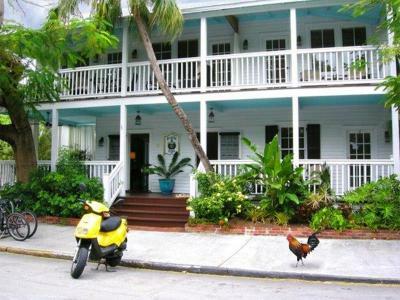 The hotel is situated in the old town part of key west. In my oppinion its the most beautiful part of the town. I feel veey lucky i was accommodated here not any place else! Could use more variety for breakfast and should be smoke free. Not seen such a tall bed and had to climb up as I'm short. Everything else was great place and close to all facilities. The mold in the window air conditioner unit, the tissue that was used to plug a hole in the a/c skirting, the mold in the “Do Not Touch” old air conditioner in the wall above the head boards and the mold in the restroom, shower and wall behind the restroom door. Didn’t like to wake up with termites in bed with me. It is Florida and it is swarming season, but that was not a nice experience. It was very dirty, the bathroom had black bugs crawling around. The AC we were breathing In was covered in black dust! I had to wear shoes to walk around the room and even shower, that’s how dirty the room was! The owner didn’t even come around, I had to call for everything. It was horrible! I would suggest getting a roon with a balcony. We didn't and I would say it would have been worth it!